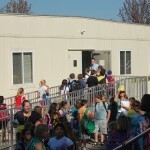 As a result of the construction currently taking place at Central Manor Elementary School, 5th and 6th grade students will be housed during the 2010-2011 school year in cottages located on the campus of Manor Middle School. 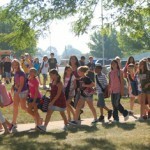 On the first day of school, 175 students got their first look at their new classrooms. 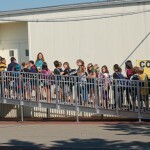 There was a lot of excitement and a little confusion as the students found their teachers, friends and classrooms. 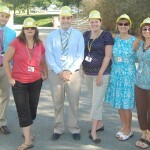 The construction at Central Manor Elementary School is scheduled to be completed in time for the 2011-2012 school year.